there is now only about an inch of bounce before the load hits the frame. nissan discontinued making the heavy-duty 4th spring, so i'm about to pay through the nose at a local shop that specializes in building such pieces. >>>does $400-500 sound about right to you all in regards to adding shop-made 4th springs to each side as well as them going in and strengthening the existing spring layers? ? please let me know your thoughts and other concerns about after market suspension. also, does anyone have experience maintaining a heavy load presence on the d21? any issues/experiences to share? how does the rear axle hold up? Rediculous price. Buy some used spring packs and raid leaves out of them. Do what I did: Go to General Springs and order a complete new pack of Heavy Duty springs for your Hardbody. They are $180 each, so $360 total. And you want to know how they work? 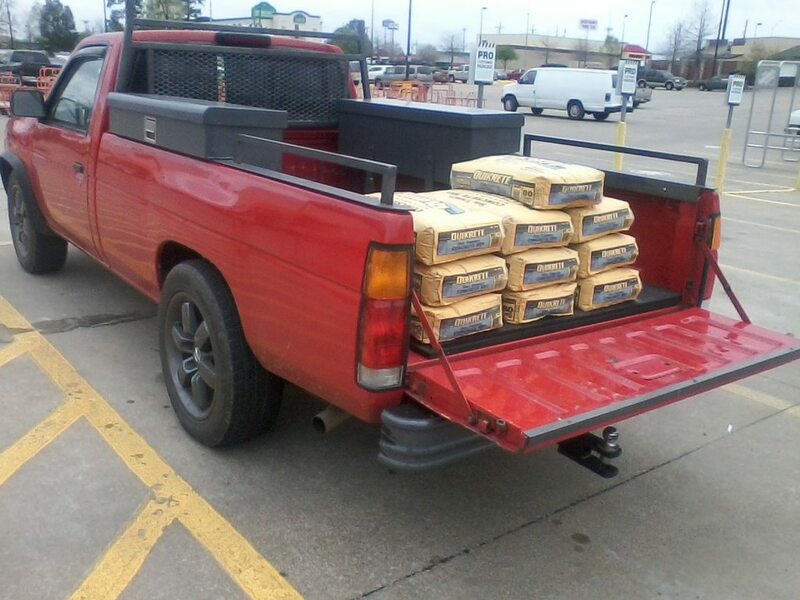 Well, if you look at the 80-lb bags of sack creet in the bed of my truck, you will see there are 10 of them. It's hard to fake that, and you can see that my truck has hardly any sag. But can it handle a real load? 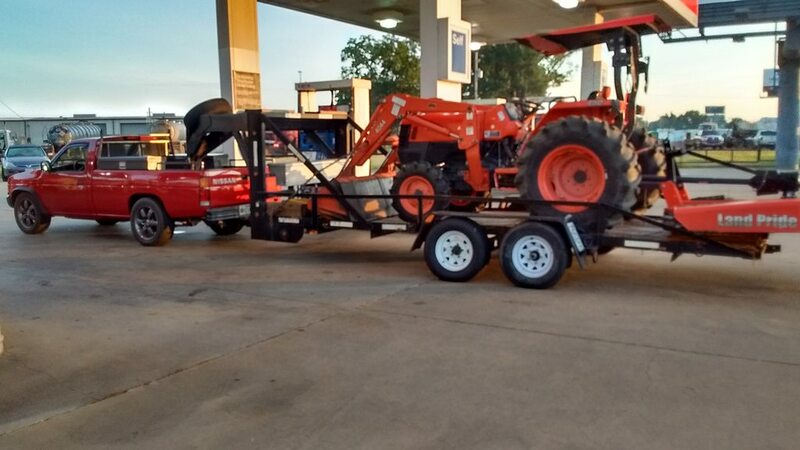 How about this 4x4 Kubota L4400 tractor. Tractor data HERE shows the tractor alone to be 3,307 lbs, and mine has a front end loader and Land Pride 6-ft cutter.